Aboard the deck of the USS Midway on Monday July 16, 2012, two women labeled as “The future of American Tennis” gave a demonstration, prior to the Mercury Insurance Open tennis tournament at La Costa Resort and Spa in San Diego. 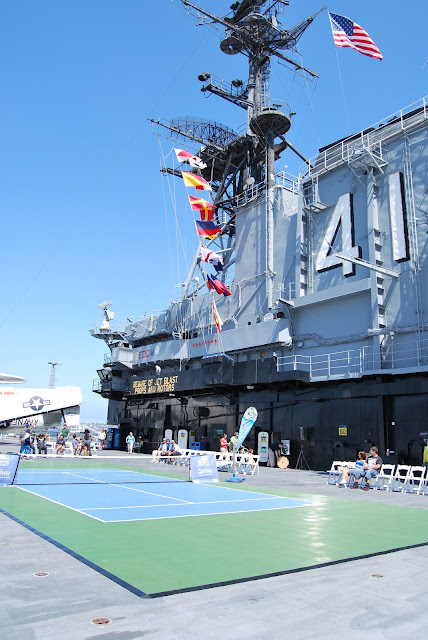 19-year-old Sloane Stephens and 20-year-old Christina McHale played a fun tennis match with a few sailors on a half-sized tennis court. They were playing on Sport Court’s PowerGame surface. “It's nice to do with Sloane. It's fun to do something different that we don't do every day.” Said McHale. PowerGame is the #1 and official modular tile of the USTA. 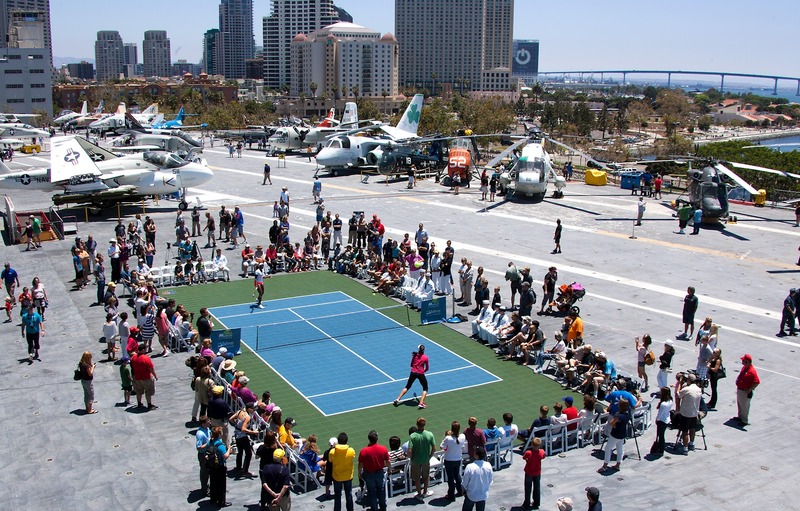 The court was unique as it was part of The CenterCourt program for 10 and Under Tennis. PowerGame tiles are the safest and highest-performing tennis surface and feature Lateral Forgiveness ™ and impact protection.